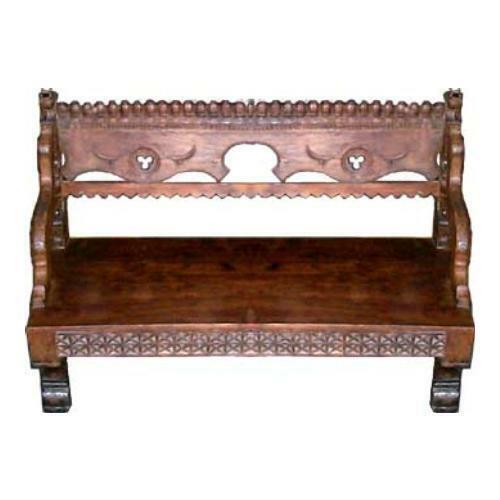 Description Carved wooden sofa double. Exuding a unique appeal our handicrafts have made waves in the industry. Each piece is exclusively designed as per the changing fashion trends that reflects fine craftsmanship and elegance that suit the aesthetic tastes of our clients all across the globe. Our commitment for excellence and passion for quality products has shown us the way to growth and prosperity. The traditional skills,handed down over decades are still in use in our state of the art production unit. Our quality range of products is in tune with the international trends focusing on intricate details,contemporary designs and scheduled deliveries. Impeccable quality of workmanship and flawless designs have always been the hallmark of our products. We also have the expertise and capability to execute bulk order and customized orders as per the buyers demand.